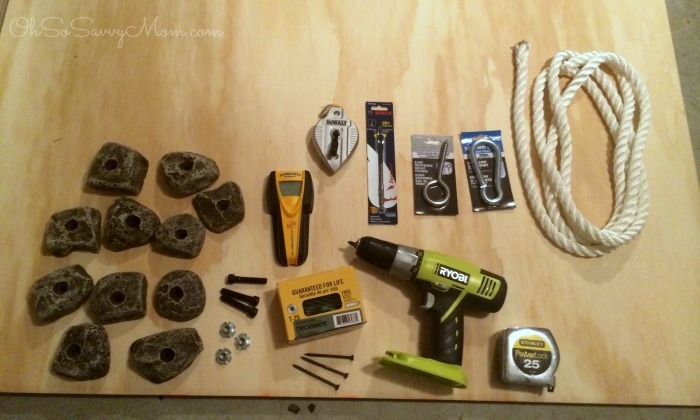 How to build a DIY Kids Climbing Wall! 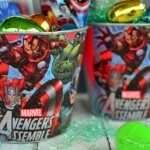 - Easy to Follow Instructions! 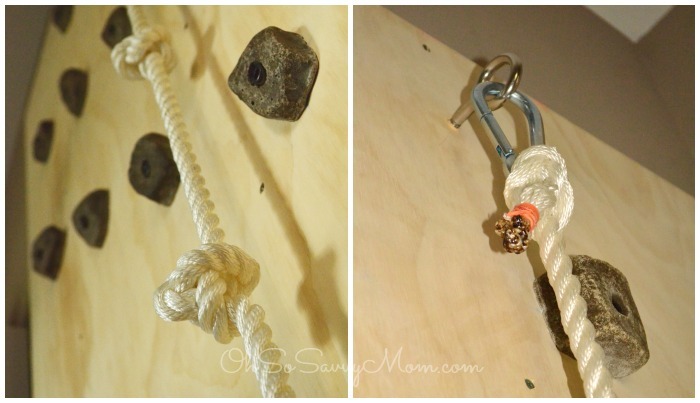 How to build a DIY Kids Climbing Wall – Easy to Follow Instructions! 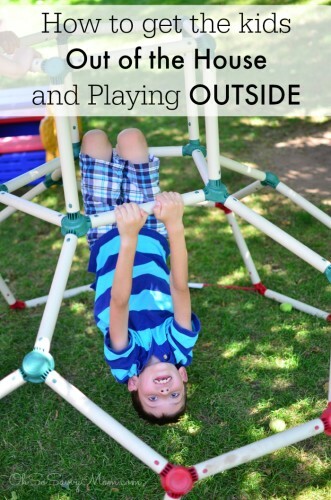 Want to have something physically challenging for your kids to do on days when going outside isn’t practical? Want to foster motor skills, coordination, balance, bouldering and climbing skills? 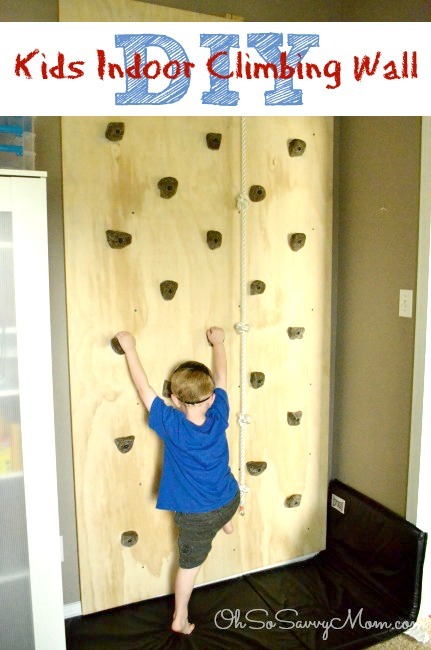 Check out this easy to follow indoor DIY kids climbing wall tutorial! Our middle son enjoying his DIY Kids Climbing Wall! Today’s awesome Indoor Climbing Wall DIY is brought to you by The Husband! Imagine a world where children spend summer days outside climbing trees, digging holes, chasing animals, and running races. The children of this world turn to their imaginations for entertainment and learn to navigate social impasses without adult intervention. These kids fall down, skin knees, bonk heads, get splinters, and eat mud. As a result they learn to get up, push through, dust off, and press on. Sounds great, right? Who wouldn’t want to raise resilient, gritty kids? Easier said than done in today’s world, I’m afraid. 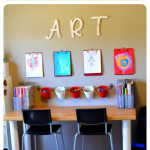 There are so many great reasons for kids to stay inside and be sedentary. Video games are fun, Netflix doesn’t have commercials, and air conditioning feels great. My wife and I have done a pretty good job of getting our kids to go outside and be active, but I wanted them to have something physically challenging for them to do in the house for those days when going outside isn’t practical. So, naturally, I built my kids an indoor rock climbing wall for our home. I got the climbing holds and gym mat on Amazon (see the links–affiliate links). The holds came with the bolts, t-nuts, and allen wrench. I picked up the tools and materials at Home Depot. You can mount the climbing holds in any pattern you want. I chose an alternating grid layout that would accommodate the 25 climbing holds I bought. Step 1 – Choose the best side of the plywood panel and place that side facing down (you want to do all your marking and chalk lining on the back). Measure 12 inches from the top edge and snap the chalk line across the panel horizontally, creating a 12-in “margin” at the top of your climbing wall. Do the same at the bottom. Step 2 – Starting on the left side of the panel, use the chalk line to divide your climbing wall into 8-in wide vertical segments (6 segments in total). Do the same starting at the bottom 12-in margin and divide the panel into 8-in wide (11 segments in total). This will create a grid pattern. You will mount the climbing holds where the lines intersect. Step 3 – Starting in the bottom left intersection, use the 7/16-in wood spade bit to drill holes from left to right at every other intersection. Your first row (the bottom row) should have three holes. Move up one line and starting at the second vertical line in from the left, drill holes at every other intersection. This row should now have two holes. Repeat this pattern all the way up the panel. This will give you 25 alternating equidistant holes. (An alternative method would be to drill holes at every intersection, which would give you more options for hold placement. However, you’d need to buy more t-nuts to fill every hole). Step 4 – Insert a 3/8-in 4-prong t-nut into each hole. Hammer the t-nuts into the holes until the flange is flush with the surface of the panel. Turn the panel over. Step 5 – Mount the climbing holds using the bolts and allen wrench. Make sure you tighten them down. Step 1 – Use the stud finder and pencil to mark the location of the 3 adjacent studs where you plan to mount the climbing wall. Attach the 8ft long 2×4 furring strips to the studs using the 3-in #9 wood screws. Space the screws 12 to 18 in apart. The space between the panel and the wall created by these furring strips allows clearance for the ends of the climbing hold mounting bolts. Step 2 – Place the panel against the furring strips and ensure that no climbing hold mounting screws are touching the furring strips. Once the panel is in position, measure in from one of the sides and mark on the panel where the furring strips are. Mount the panel to the furring strips with the 3-in #9 wood screws 12 to 18 inches apart. Step 3 – Drill a pilot hole through the panel and into the center furring strip about 2 in down from the top of the panel. The size of the drill bit you use will depend on how big the steel eye screw you bought is. The pilot hole should not be bigger than the screw. I used a 1/4-in drill bit. Screw the eye screw into the pilot hole. You might have to put a screw driver or tire iron through the eye to give you some added leverage as you screw the eye screw all the way through the panel and into the furring strip. Step 4 – Tie one end of the rope to the carabiner. Tie a knot at the other end of the rope and then 3-4 more knots equally spaced along the rope. I used a stopper knot (http://www.netknots.com/rope_knots/stopper-knot/). You could just tie the rope directly to the eye screw, but I wanted the option of removing the rope easily if I wanted to. Step 5 – Use the sand paper to smooth out any rough surfaces or splinters. Place the padded gym mat at the bottom of the wall. I really liked the way our DIY kids climbing wall turned out. If you wanted to paint it, I’d recommend a PVC primer with two coats of high-gloss PVC paint. Of course, it would be easiest to paint before you mount the climbing holds. 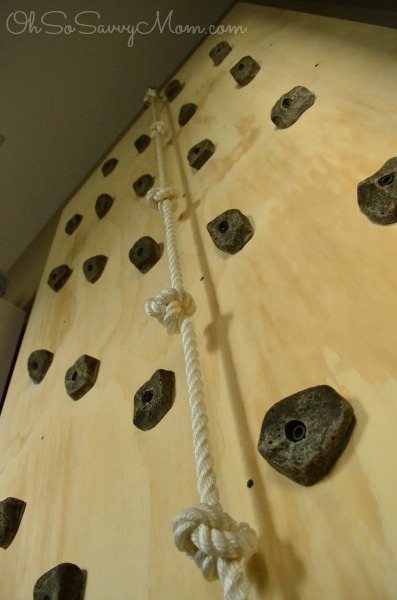 As your kids get better at climbing you can remove holds or just mark paths using tape to increase the challenge. At first our boys were too scared to climb much higher than half way. After a week they were climbing all the way to the top. The total cost for our DIY kids climbing wall was $174.26. However, I already had a drill, stud finder, tape measure, pencil, hammer, and sand paper. We decided to by a high quality, pre-sanded plywood panel which was a little more expensive. We could have easily saved $20 on a cheaper panel. The gym mat was $34.60, but you could save some cash and use an old mattress. All of our kids have a had such fun climbing this wall! It is a great addition to our homeschool curriculum and keeps the kids busy on the frequent rainy days we experience here in Louisiana. 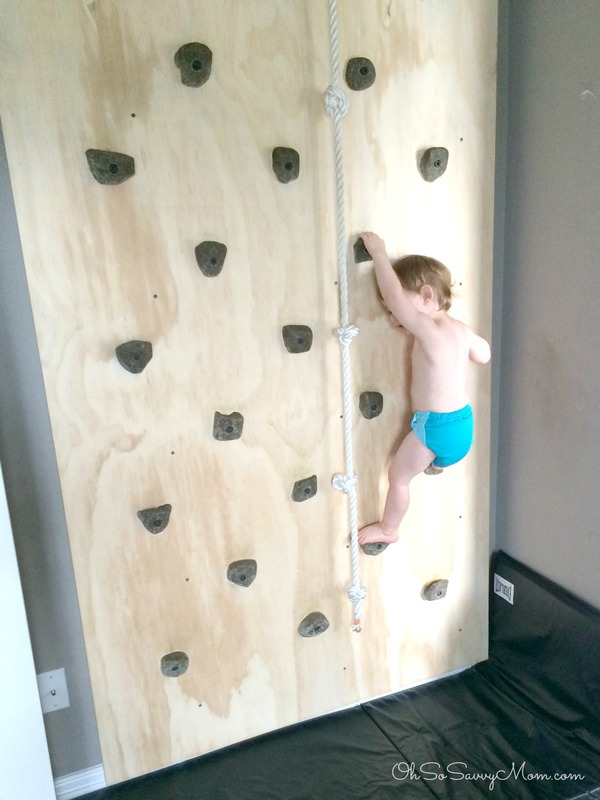 This is even the perfect rock climbing wall for toddlers! My toddler started scaling this wall with supervision when he was just 18 months old! Now, I can’t keep him off! He’s fearless. 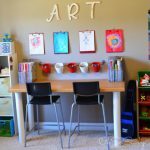 To turn this project into a toddler climbing wall DIY, simply take a couple feet off the height of the kids climbing wall and calculate the updated number of hardware items you’ll need. Next PostBack to School Giveaway! 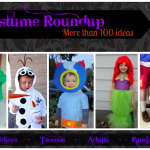 $400 in Prizes! This is pretty cool for the young ones. I wish I would have done this when my boy was younger. He would always climb up the hallway walls with one leg on one wall and the other leg on the opposite wall. He was like a little spider man. Thank you so much for this post. It's so helpful and informative. 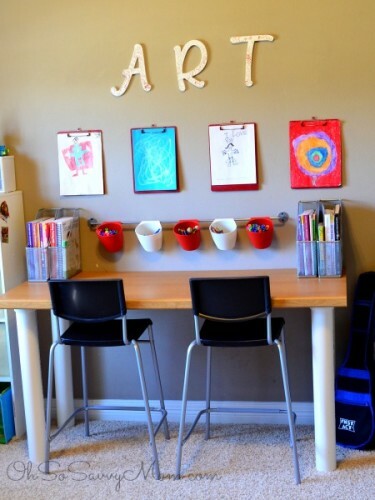 I can't wait to do this in my boy's room. Can you tell me where you purchased the rope from? Thanks. Hey Mj, We got the rope at Home Depot. There were a few sizes and materials to choose from. We went with the more expensive material that we felt would be gentler on little hands. If you need more specifics just let me know and I'll ask my husband. Great post, thank you! How's the rock climbing wall holding up? 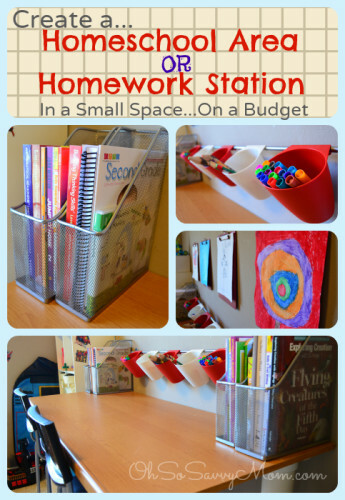 We're planning a similar project soon for our littles and your tutorial is perfect. Thank you! It held up really well. My kids climbed on it all the time and while some of the wood above the hand holds is getting a little dingy from dirty little hands and feet, it hasn't experienced any damage. --I speak in the past tense because the climbing wall has been in storage for the past 5 months as we wait to move into our new house. It has totally been one of the best things we've done for our boys! You're very welcome. Hope it turns out awesome!